Expensive to some might be all those images you want to burn to a CD and give them for $99 while expensive to others might be the $20,000 wedding photographer. Expensive is a relative term and does not translate over to every situation the same. As a photographer, your pricing can only go as high as the market will bear, but that also has a direct correlation to your target market. For instance, if you are a family photographer in Raleigh NC, the market will bear more than $99 for a bunch of images on a CD. However, if your target market is families with a household income of $50,000 per year vs. $150,000 per year, there is a drastic difference in affordability and perception of that $99 CD of images. Houesholds with an annual income will likely not think that $99 CD of images is expensive, but they also may perceived that the quality is not what they are looking for. Pricing and quality often go hand in hand or at least the perception of quality at a certain price. It's true that quality can often be given at a lower price, but at the end of the day, it's about the perception of the person paying for the product or service. There is another core problem with pricing when it comes to photography. That is your perception of your value and that you just cannot bring yourself to charge above a certain level because you perceive yourself expensive if you charge $199 vs. $99. You have to get past this and charge what you are worth based on what the market will bear. There are wedding photographers that I know of in the Raleigh market charging as little as $300 to photograph a wedding ( I know because my of my daughters friend.) and wedding photographers charging upwards of $4,000. That's a large range and it's also very much based on the market being targeted. $300 is about all my daughters friend could afford and those spending $4,000 on wedding photography likely have a much larger overall wedding budget. If you do wedding photography, do you want to be the $300 photographer or the $4,000 photographer or somewhere in between. Study the market and target the right market because if you are trying to sell a $300 package to someone looking for a $4,000 photographer, you will lose. There is a certain level of perception of quality in the mind of the client at those drastically different price points. 1) What price points will the market you are in bear? Raleigh NC vs. New York City vs. Rural Eastern North Carolina are all different. If you happen to be in Raleigh, there are a wide range of price points for various photography services. Don't go broke trying to be the cheapest photographer in Raleigh. 2) What is the specific market that you are targeting? If you want to be a $4,000 wedding photographer in Raleigh not only had you better be on your game, but you should also be targeting brides that can afford that price point because you cannot sell a $4,000 wedding package to someone that has set aside $500 for wedding photographer. OK, maybe you can, but it's not likely. 3) How do you feel about your photography? It's true that some photographers need to get more practice, but my guess is that there are a lot of photographers out there under selling themselves with the number one reason being a lack of confidence in their work. Bottom line, don't sell yourself short. Charge what you are worth. 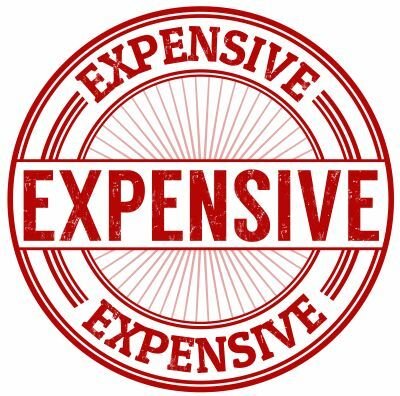 4) There is a direct correlation most of the time with how a client perceives price and quality. But no matter how great your quality is, if you are trying to sell it to the wrong market, you will not be successful. Peter Hurley in the heart of New York City gets $1,200 +/- for a headshot. That's way higher than the Raleigh market for a headshot. Know your market and price your services accordingly without being the absolute cheapest photographer on the planet.